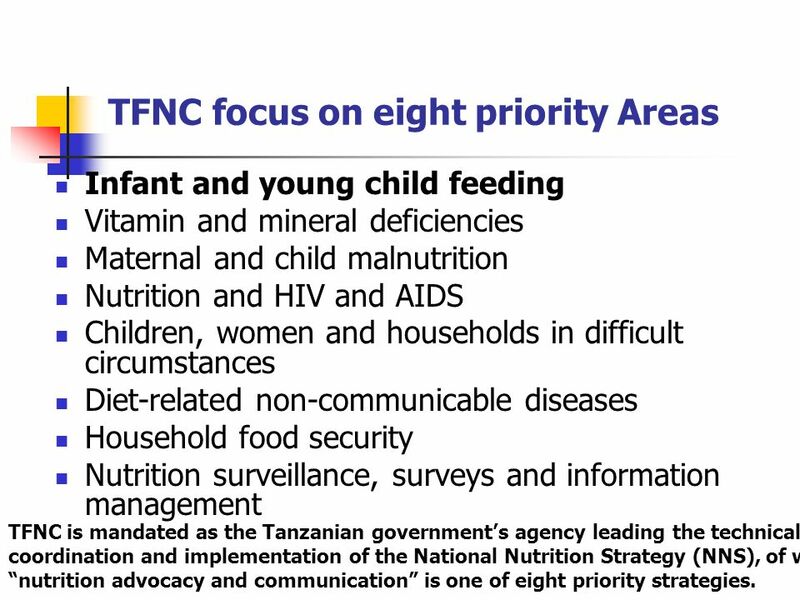 Infant and young child feeding Vitamin and mineral deficiencies Maternal and child malnutrition Nutrition and HIV and AIDS Children, women and households in difficult circumstances Diet-related non-communicable diseases Household food security Nutrition surveillance, surveys and information management TFNC is mandated as the Tanzanian government’s agency leading the technical coordination and implementation of the National Nutrition Strategy (NNS), of which “nutrition advocacy and communication” is one of eight priority strategies. 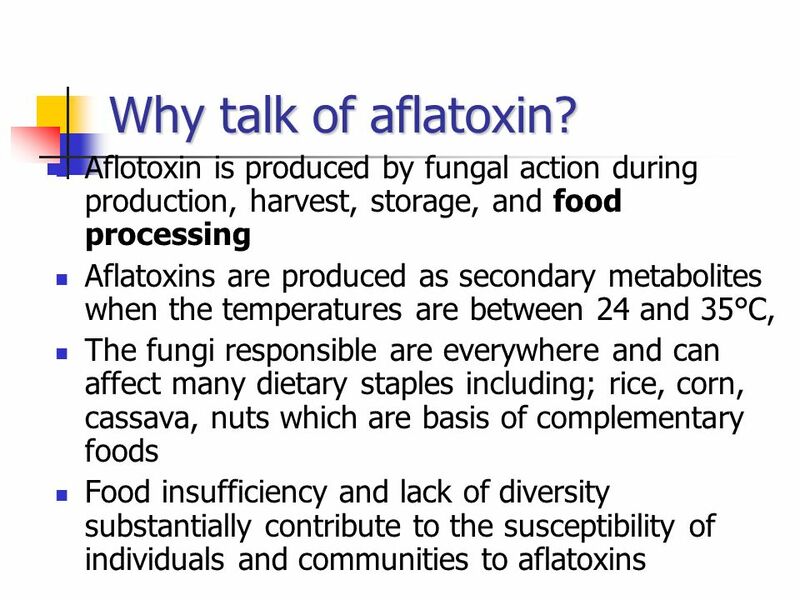 Growing crop varieties that are genetically more resistant to the growth of the fungus and the production of aflatoxins can be another useful control strategy Proper drying of crops before storage so as to reduce the amount of moisture can prevent the development of aflatoxins. 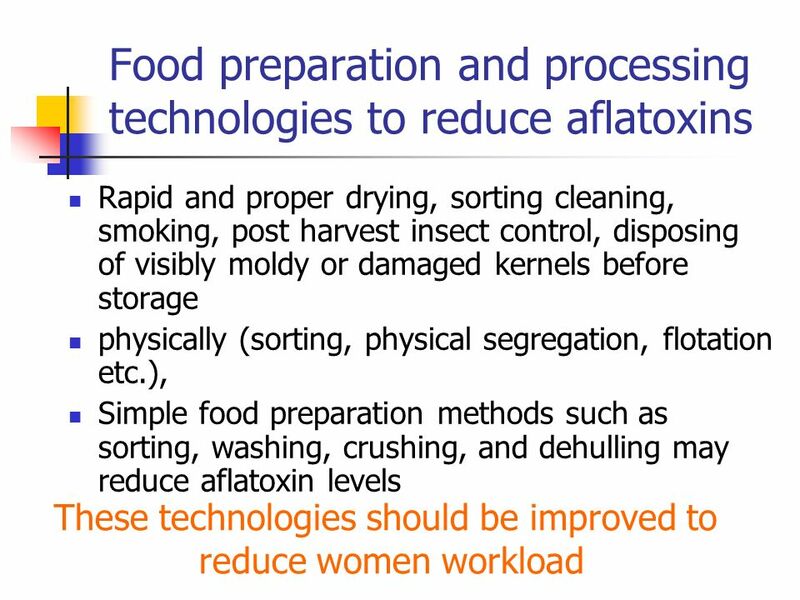 Advise women of reproductive age and other caregivers on how to improve dietary intake for themselves and their young children, Promote food preparation and processing technologies that increase bioavailability and absorption of vitamins and minerals. 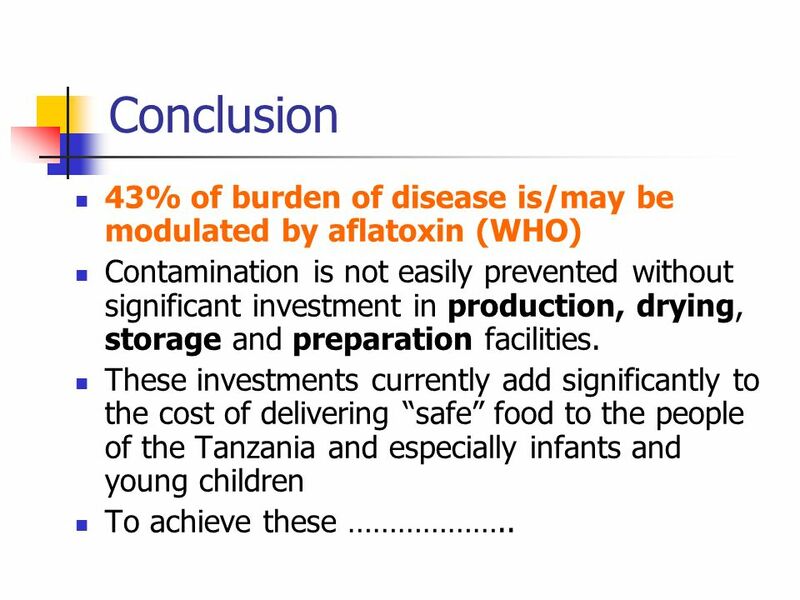 11 Conclusion 43% of burden of disease is/may be modulated by aflatoxin (WHO) Contamination is not easily prevented without significant investment in production, drying, storage and preparation facilities. 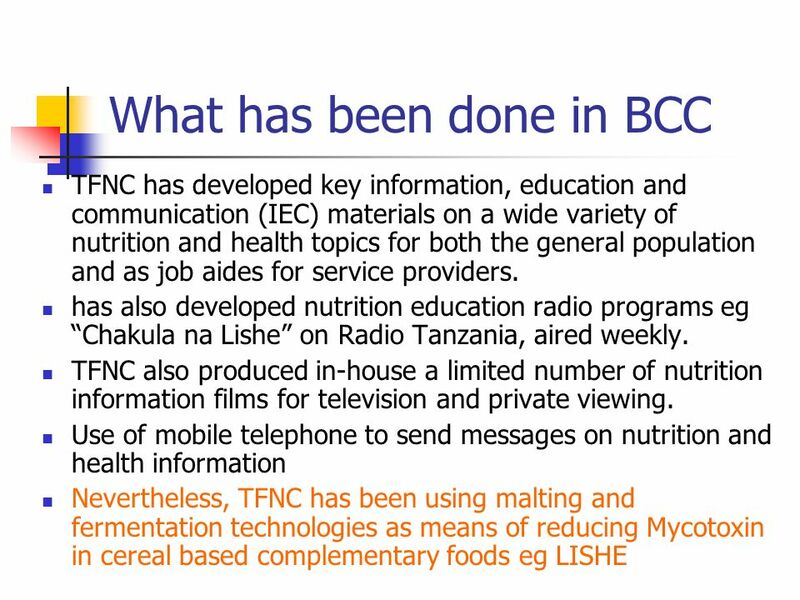 These investments currently add significantly to the cost of delivering “safe” food to the people of the Tanzania and especially infants and young children To achieve these ………………..
Download ppt "Dr. Joyceline Kaganda and Onesmo Mella,"
IMCI Unit AFRO Going to scale: Experience with Community IMCI Meeting of RBM and IMCI Task Forces 24 th –26 th September 2002 Harare, Zimbabwe Presentation. 'Estimates and causes of poor nutrition - meaningful disagreements among economists' Food Forum talk 7 th March 2008 Dr Deborah Johnston, Dept of Economics. Protecting, Promotion, and Support of Optimal IYCF. 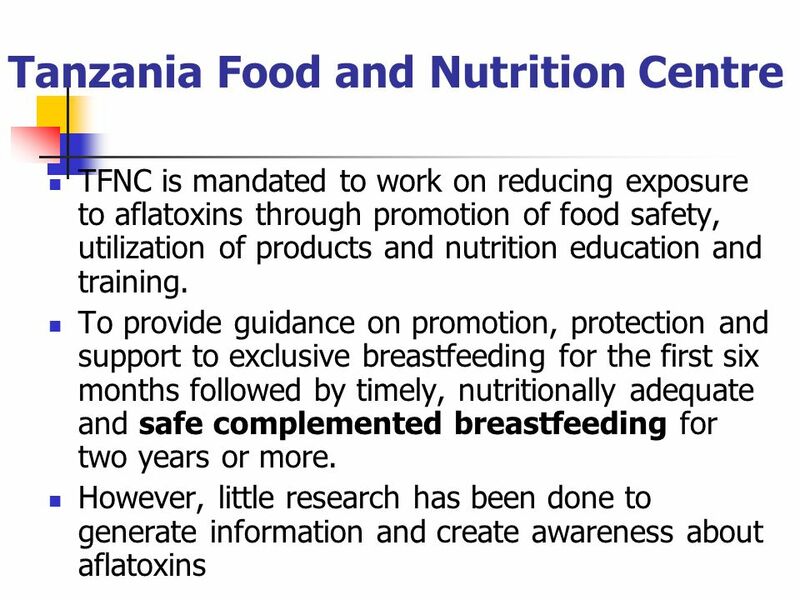 Impact of Large-Scale Infant Feeding Promotion on Child Survival and Health in Madagascar. 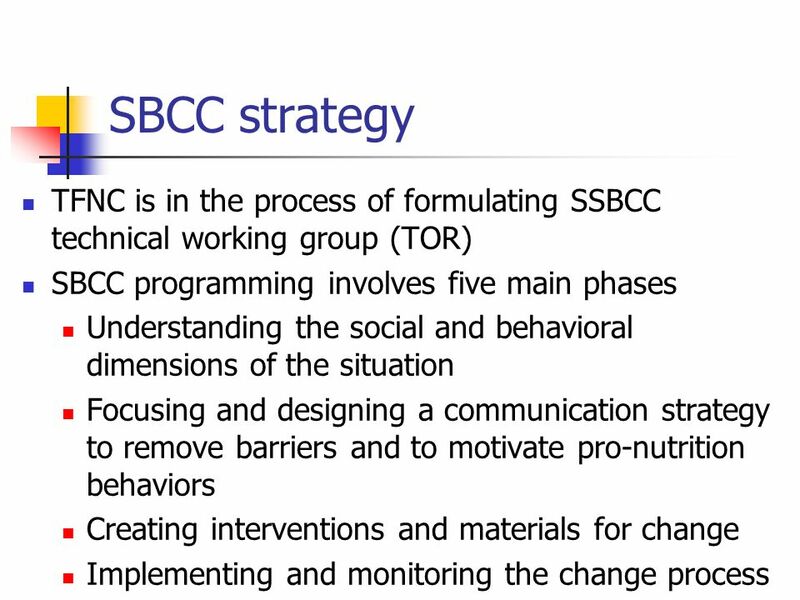 Training Overview and Objectives Emergency Health and Nutrition Training. FOOD INSECURITY IN PAKISTAN. Pakistan is the seventh most populous country in the world PAKISTAN – A PREVIEW Total Population – million Male : Female. 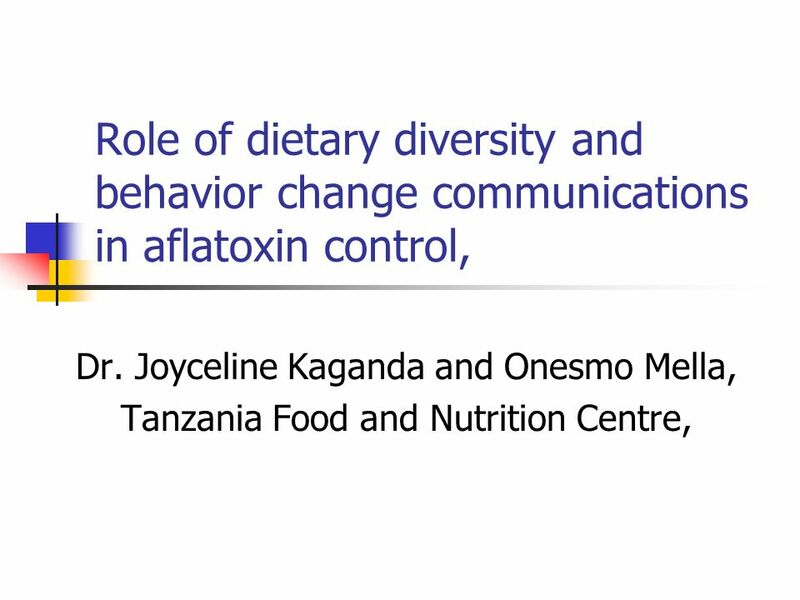 Hunger, Malnutrition and Nutrition by Margaret Kaggwa Uganda. 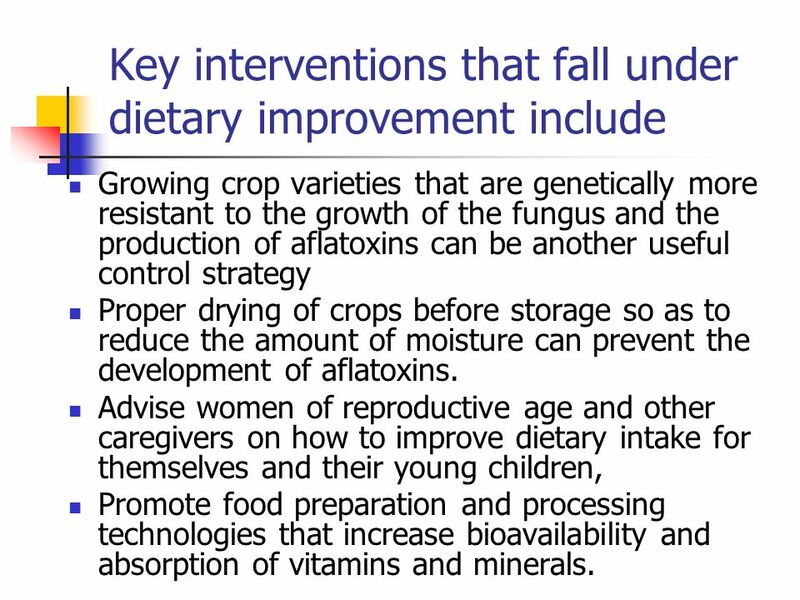 Integrating Agriculture and Nutrition in Food Aid Projects: What does each specialty need from the other? 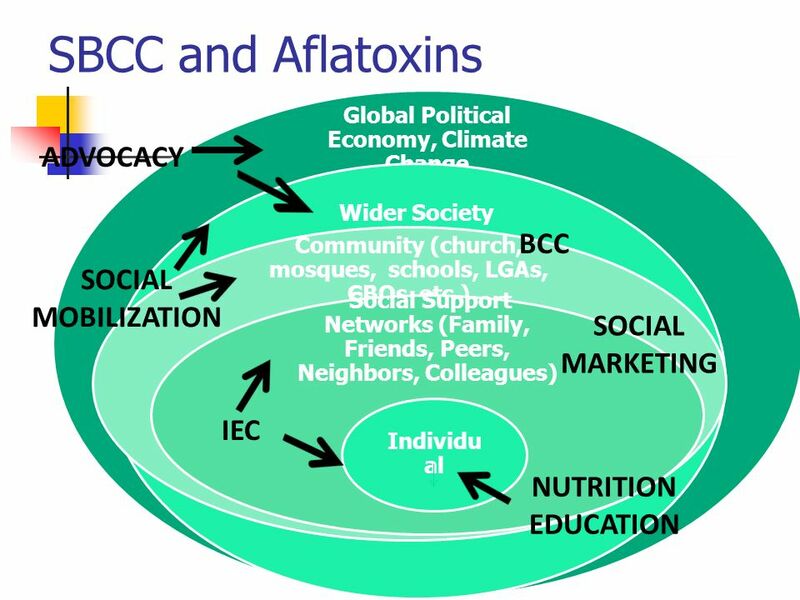 ~combined with~ Integrating Agriculture and Nutrition. 1 Food and Nutrition Surveillance and Response in Emergencies Session 22 Strategies to Prevent Micronutrient Deficiencies. FINDINGS. What is Malnutrition?... Malnutrition is marked by a deficiency of essential proteins, fats, vitamins and minerals in a diet. Without these. 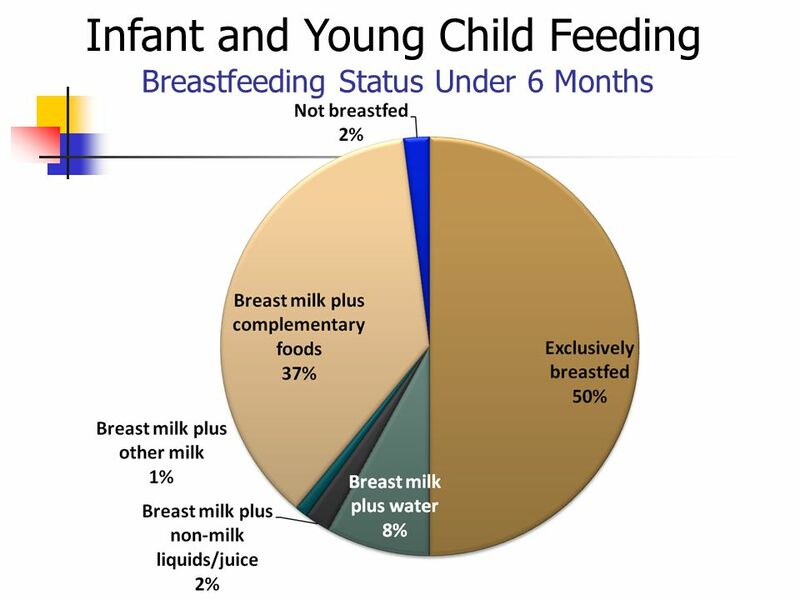 The World Breastfeeding Trend Initiative (WBTi). The Global Strategy for IYCF “WHO and UNICEF jointly developed the global strategy for infant and young.